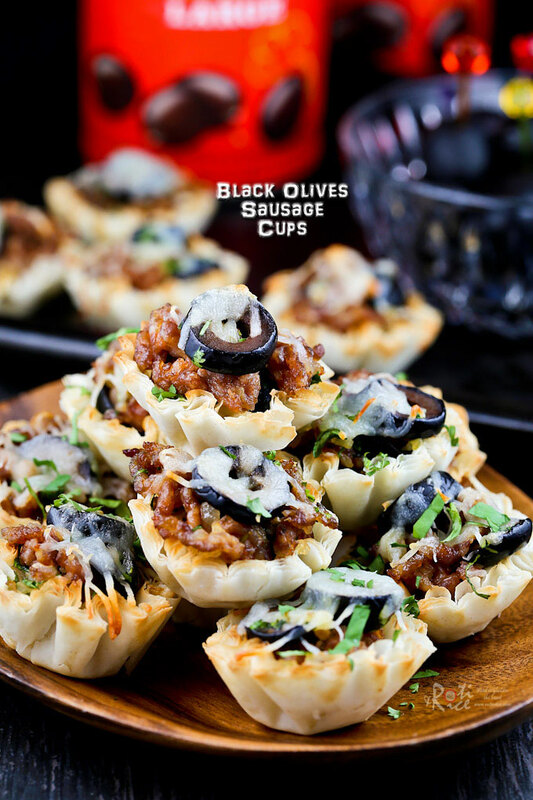 These tasty Black Olives Sausage Cups are the perfect appetizers for Game Day or any social gathering. Very quick and easy to prepare. Are you excited about Game Day? I know many of the guys are. The ladies maybe not so much except for the party bit. Everyone loves a great party with delicious food, and good company. For such occasions, appetizers, finger food, dips, and cocktails are definitely the way to go. 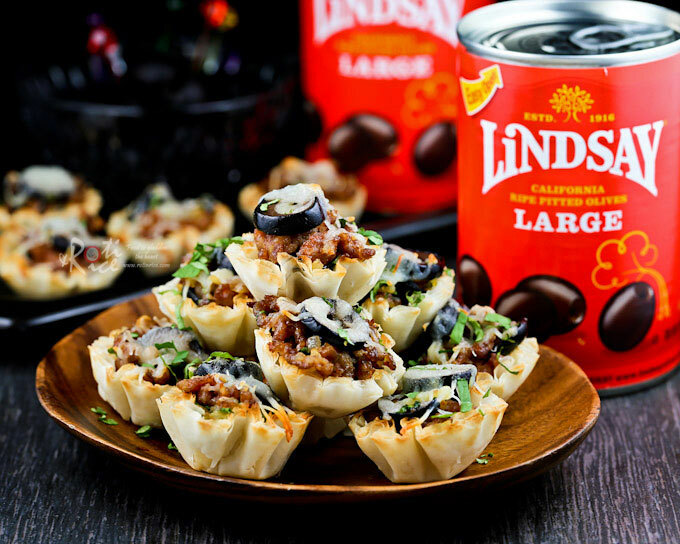 This is where LINDSAY OLIVES comes in because olives are often used in the preparation of party foods. I personally love olives and always have a couple of cans or jars in my pantry. Olives taste great in pizzas, stews, and even in a quiche. I also like to put a few into my salads for that slightly briny flavor. Of the different types of olives available out there, black olives are my favorite. 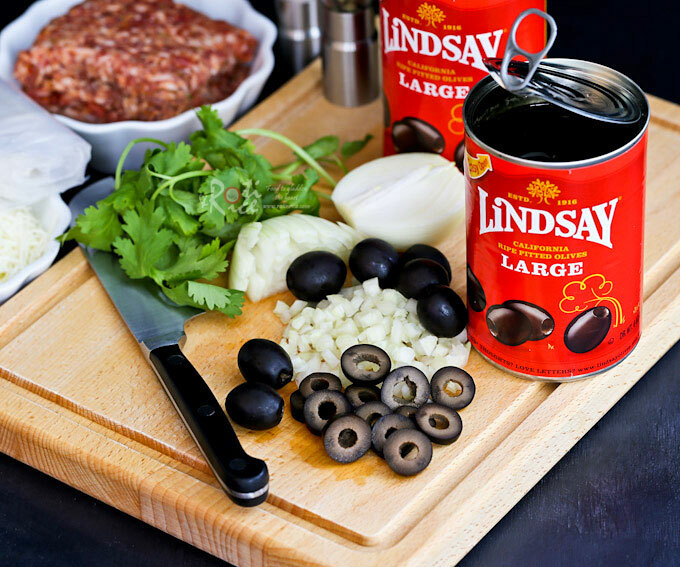 Lindsay’s black olives are plump and meaty, just the way I like them. They are also deliciously mild and mellow straight out of the can. 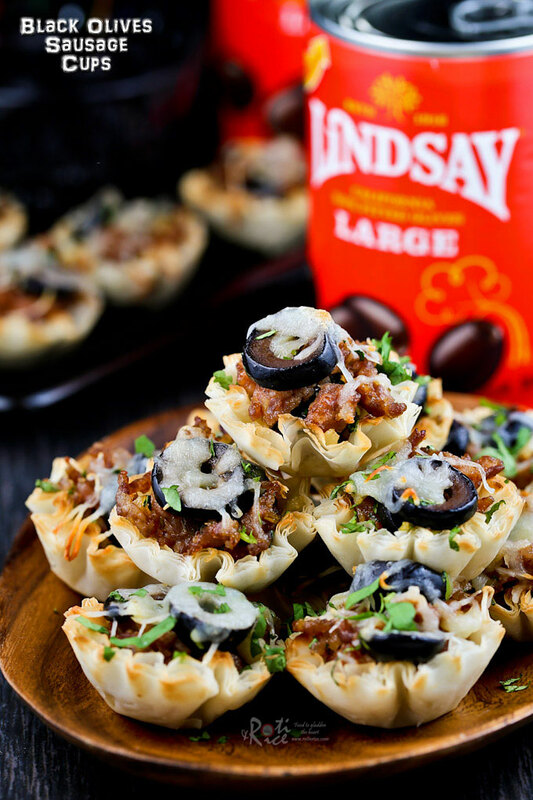 Lucky for us, we can join CLUB LINDSAY and get a $1-OFF COUPON at their website. They will also inform us of special offers, new product updates and, more. On top of that, they have a ton of delicious recipe ideas over there. Their Naturals line has no artificial colors, flavors or preservatives. None of the bad stuff. I wanted to feature the Naturals but my local store does not carry them. Fortunately, we can now order them online and get 25%-OFF our online purchase by using the code GAMEDAY…yay! If you prefer to shop at a physical store, then you can click here to find A STORE near you. Your time is precious and there is nothing more frustrating than going from store to store to find a product. I personally used and am thankful for this feature because I was able to find the closest store near me to get the cans of olives you see here in this post. It saved me from having to do more driving than was necessary in this very cold and snowy weather. Today’s recipe is a relatively quick and easy one to prepare. 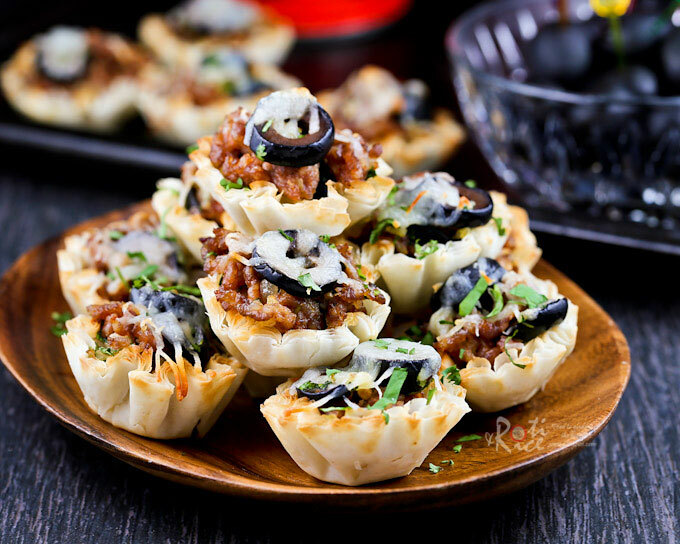 I made a filling using black olives, bulk sausage, onion, and cilantro filled into flaky mini fillo shells. A little sour cream and melted mozzarella provide moisture and help hold the filling together. The black olives may be replaced with green or manzanilla olives if preferred. They can also be coarsely chopped instead of sliced. Heat vegetable oil in a medium fry pan. Saute onion for 1 to 2 minutes. Add sausage. Break it up with your spatula and continue to fry for 4 to 5 minutes until it is fully cooked. Transfer to a bowl. Add sliced black olives and chopped cilantro. Mix well with the cooked onion and sausage. Place mini fillo shells on baking tray. You may need to use two baking trays. Place about ¾ teaspoon sour cream at the base of the fillo shells. Then add 1 to 2 teaspoons of sausage filling. Finally, top with shredded mozzarella. Bake in preheated oven for about 10 minutes. Remove and transfer to a serving dish. Sprinkle some chopped cilantro over the top. Serve immediately. The guys really enjoyed these little morsels and all 15 cups were gone in no time at all. The recipe above makes 30 mini cups to serve 15. I hope you’ll give it a try. Shop online and get 25%-OFF your online purchase by using the code GAMEDAY. Visit LINDSAY OLIVES for more recipe ideas.